The brand new BMW Z4 and the Toyota Supra have been in development for what feels like a decade at this point. We’ve already reported on numerous pieces regarding these two cars whether it be when we first learned of their rumors online all the way to when a production mule of the Supra was spotted at the Goodwood Festival of Speed. I’m sure most of you will agree that at this point BMW and Toyota should really just get on with it and reveal the damn things. But alas who knows when they’ll actually come around to that. 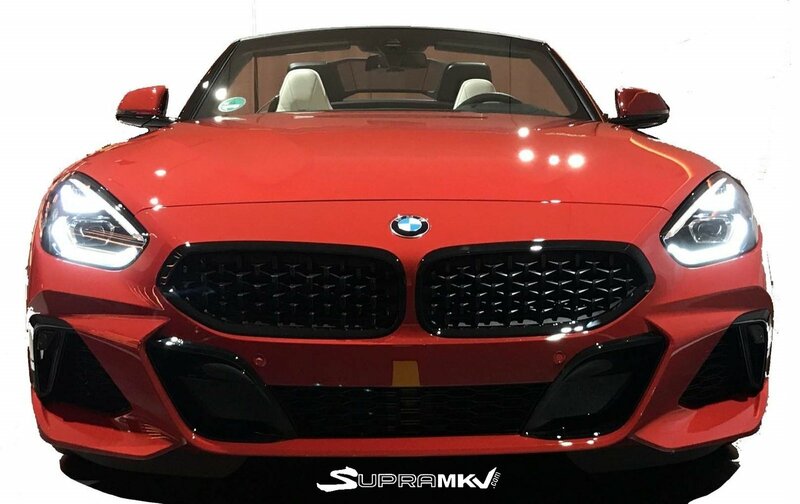 However it seems we’re in luck because images of the brand new BMW Z4 have just been leaked online and it looks pretty good, though to be honest we would have preferred it if we had some leaked images of the Supra over the Z4, but we’ll take what we’ve got. Its been almost one year since BMW unveiled the BMW Z4 concept car at Pebble Beach. The concept car featured a striking design language with futuristic curves and creases that made even a BMW i8 look a bit dated. And we’re happy to report that the actual production version looks strikingly similar to that of the concept car. Now, of course, it doesn’t have all the outlandish styling details of the concept car, but BMW has done a pretty good job at keeping it pretty close. At the front, the large twin kidney grilles take center stage with the same weird mesh pattern as we saw on the concept. They are slightly wider and mounted lower than the concept car. The headlights are also pretty similar with the same sharp and aggressive design language. Overall we’d say the front looks pretty good, but just slightly too similar to the Fiat’s two-door roadster namely the 124. The hood is less aggressive on the production Z4 as it lacks the slats found on the concept Z4. The front bumper is also quite different as it features larger channeled air inlets. Taking a look at the car’s side profile and that’s where we’re happy to say BMW did a fantastic job at keeping the concept cars imposing stance. The roadster retains the same aggressive lines and creases including the aggressive air outlet positioned behind the front wheel. We suppose BMW has put that there to alleviate some of the high pressure that builds up in the arches when driving at high speeds. 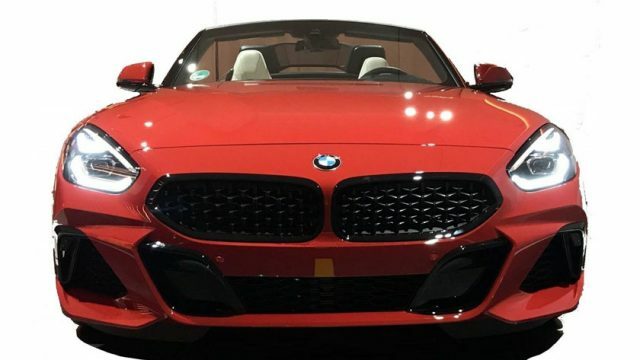 From the looks of these pictures it also seems like BMW has gone back to the traditional soft-top convertible as opposed the hardtop convertible found in the current generation BMW Z4. 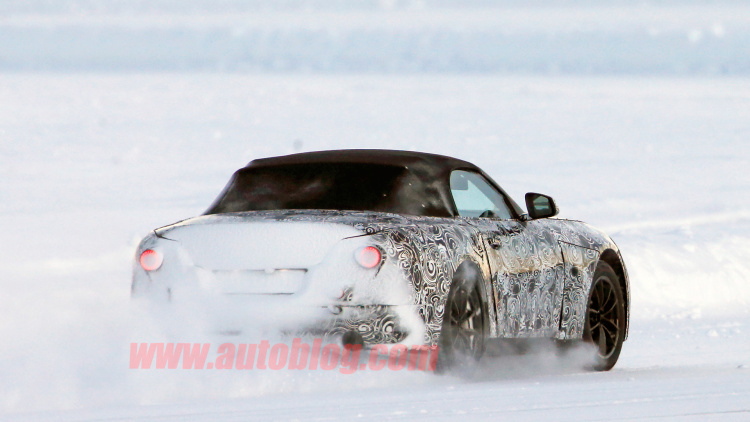 Move around to the rear, and that is where the Z4 looks almost the same as the concept version. 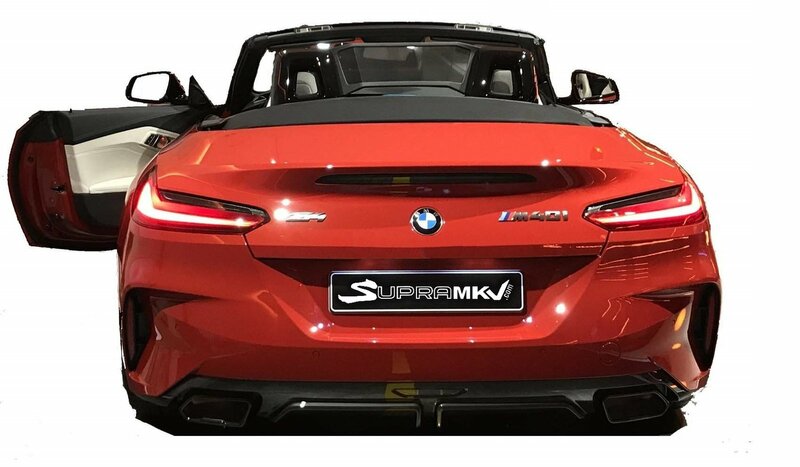 BMW has managed to retain the razor-thin rear taillights on the roadster the stretch around to the side of the car as well. There is a subtle lip spoiler on top of the trunk lid in addition to dual trapezoid exhaust pipes placed alongside the rear diffuser, and the fairly aggressive rear bumper. 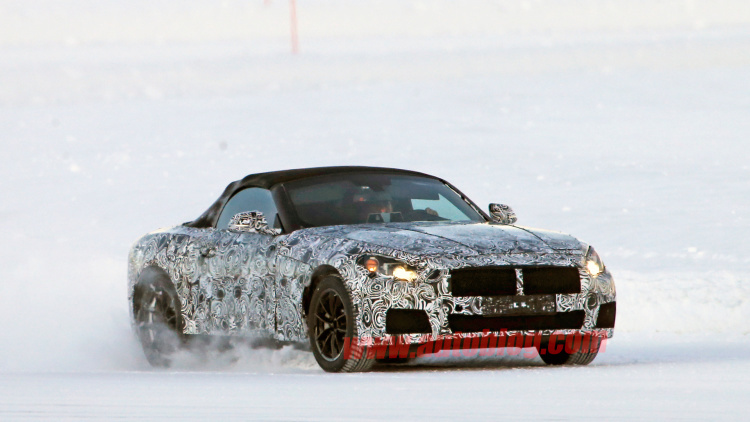 Keep in mind though that from the looks of the badge on the rear we are looking at the M40i model which could very well be the top of the range model before the Z4 M comes out sometime next year. So some design elements that we have just discussed might not be found on the lower end variants. It is expected that at launch BMW will have two engine configurations available, a 2.0-liter turbocharged four-cylinder in addition to a 3.0 liter turbocharged inline-6. The 2.0 liter four cylinder will produce 250bhp and 250 lb-ft of torque while the higher end 3.0-liter variant will push that all the way to 382bhp and 369 lb-ft of torque in the M models. 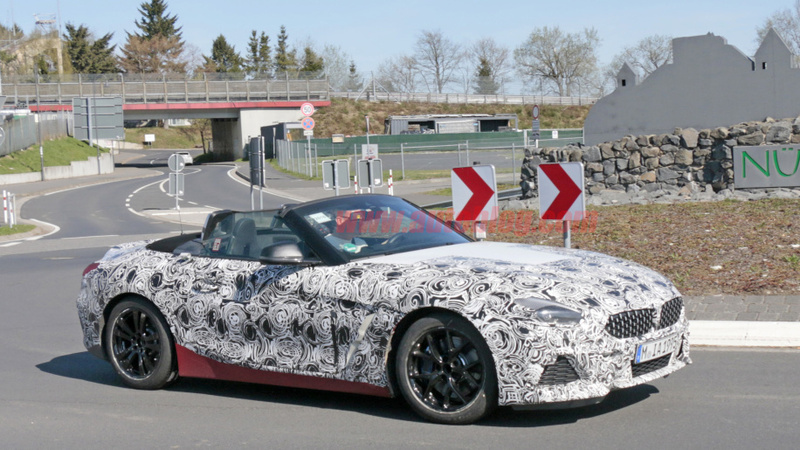 At this stage, the news is that a manual transmission might not be offered at all on the Z4 as we initially thought, but we’ll just have to wait and see until BMW finally unveils their long anticipated roadster in all its glory.